Guys Who Weep: Turn On or Turn Off? Yeah, he can cry for us anytime he wants. 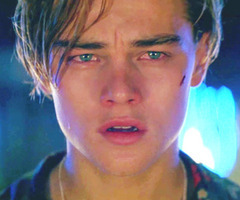 For some girls, when they see a guy cry, it can be one of the most adorable things, ever. Simply, because it proves that guys actually do have soft sides, they’re not just the menacing pricks that we sometimes make them out to be. And it proves that they actually have – gasp, pause for a moment – feelings. But on the other hand, for some girls, seeing a guy cry is one of the biggest turn offs because we automatically assume that girls are the emotional ones – we carry our heart on our sleeves and our mascara down our cheeks. But it’s not like that all the time, despite what people think. If you ask yourself, guys who cry: good or bad? Some may say good – it means he’s confident in himself. He doesn’t need to even question his masculinity because to him, it’s strong. If you think about it, a guy who can cry in front of you is extremely brave and it proves that he’s secure and essentially, a keeper. If he’s good with his emotions, then he’ll be more in tune to yours. But again, it can be seen as creating dents in his armor – most guys have a tough guy rep to them, and people assume that females are the ones who will cry over anything. But really, that’s not true at all! With so many misconceptions in the world, it’s so easy to create a bias when it comes to guys and tears. From our society, most of us see it as wrong, wrong, wrong – especially when guys are sometimes seen as “wimps” or other horrible insults if they shed tears. But now, it’s not stopping some of them from being more up front with their feelings – this includes crying in front of us, and not crying in front of us – I’m talking about closet criers. And no, they do not sit in a closet and cry, that would be kind of uh, weird, but it means that they cry when their alone, or with a really close friend, and never, ever, tell a soul. They have a rep to maintain, remember? If the moment ever happens where you catch a guy in your life crying, or he breaks down in front of you, be prepared to hear some lame excuse like, “oh, there’s just something in my eye. I’m fine.” When this happens, don’t push him to open up to you, it may come off as over-bearing. Instead, just be there for him, stay quiet and don’t leave his side (unless he asks you to leave), just try to comfort him in subtle ways. Rub his arm, pat his back, grab his hand, draw circles, do something that will make him feel relaxed. It may help him loosen up and really trust you – enabling him to open up and bring you two closer. Truthfully, all of it can be pretty surreal and shocking, especially when you witness the guy who always had this tough-don’t mess-with me-macho guy attitude, suddenly break down and lose all control of his emotions. It’s raw to see that side of a person, especially when they’re in their most fragile of states. All of which will either make you comfort him, while silently awing in your head, about a million times over. Or, it could send you running – and fast, to the next hunky guy who looks like he could never drop a tear – well, at least in front of you. But clearly, it does depend on what they’re crying over, if something horrible happened, such as their favorite Grandpa died, or something remotely close to that, then yes, that’s completely normal. But if you find him crying because there’s no more ketchup left, or because you ditched him last minute – something like that. Then, well, you’ve got a whole other, emotional mess on your hands. So again, I ask: in the time of tears, with all the soft sobbing going on from your guy, or maybe even a best guy friend, what do you do? Grab the tissue box and appreciate this rare moment, or pat his head, in an awkward gesture while making up some lame excuse to get the hell out of there? The moment may never come again, or it might… you never know. It’s up to you to see if you stick around and find out. So, ladies, what do you think? Guys who cry in front of you: turn on or complete turn off?